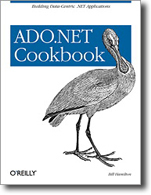 ADO.NET Cookbook is a comprehensive collection of over 150 solutions and best practices for everyday dilemmas. 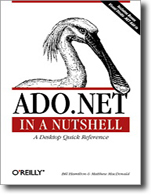 For each problem addressed in the book, there’s a solution—a short, focused piece of code that programmers can insert directly into their applications. 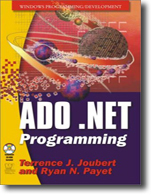 The diverse solutions presented here will prove invaluable over and over again, for ADO.NET programmers at all levels, from the relatively inexperienced to the most sophisticated.